We are back on Unesco vine hills of Langhe for a very special and romantic wedding. 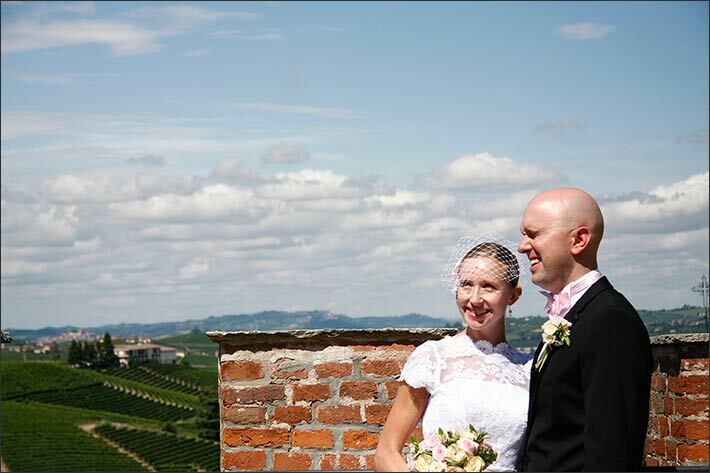 Heather and Philipp chose Langhe for their special day. 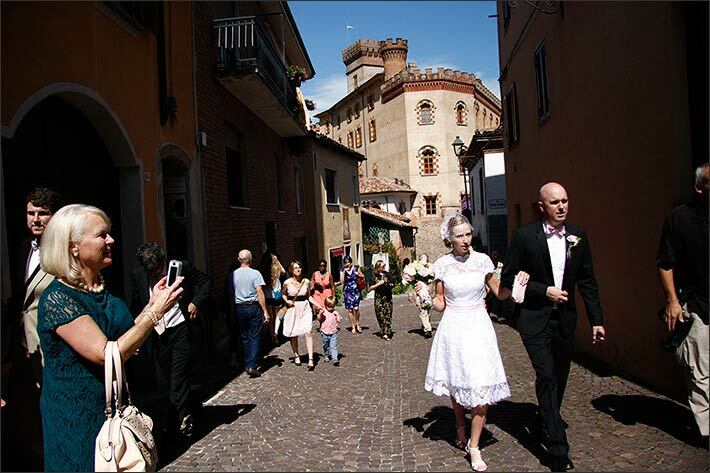 They opted to celebrate their marriage in Barolo Village. 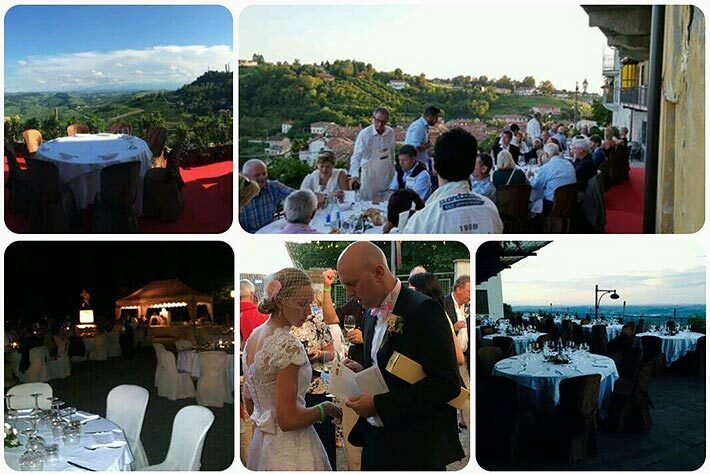 We were so pleased to plan such a lovely event in Barolo as we have not been often here. 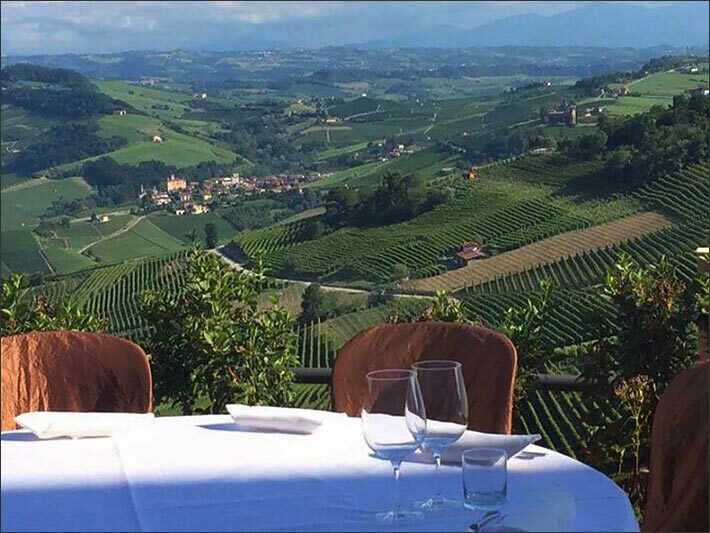 Barolo could be the perfect choice for a very romantic wedding overlooking vineyards and hills. Barolo is a wonderful small Village located close to Alba and Bra in the very heart of Langhe area. It is on top of a vine hills overlooking a stunning view over vineyards and Alps. In the very center of the village there is its Castle that was built in 1200. Through the centuries it was changes and modified to become today what you can admire. 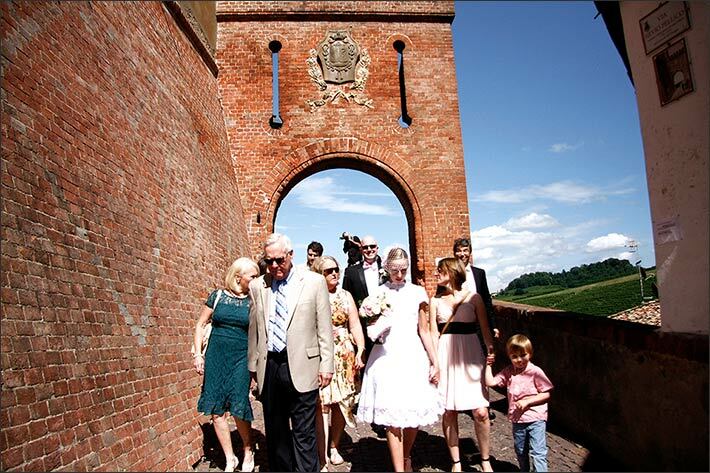 The castle is property of the town hall and you can have legal civil ceremonies inside some of its amazing rooms. There is also an important museum inside it. WiMu (Wine Museum) is a museum dedicated to the culture of wine. It is a wonderful project opened in September 2010. The exhibition includes historical, artistic and multimedia features that really worth a visit! 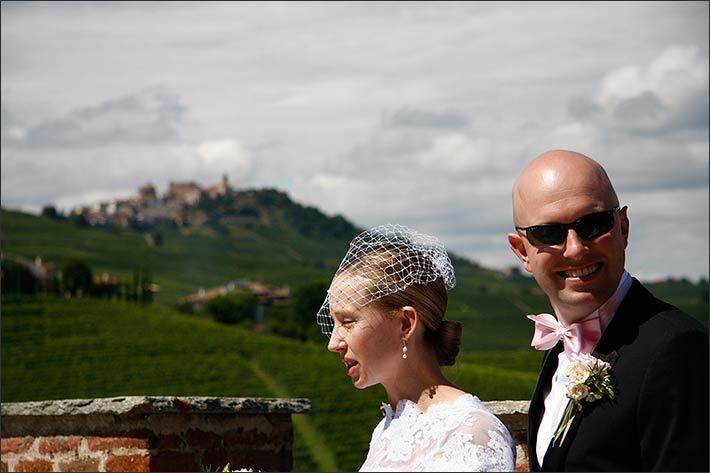 Heather and Philip decided to tie the knot just here in this wonderful venue that is part of Langhe local history. Heather and Philip came in Piemonte from US with a small group of guests, just immediate family and friends. They decided to stay in La Morra village not far from Barolo and spend a lovely country vacation here. On the day they reached the castle with the family for the emotional ceremony. Some pictures before and then the ceremony could start. Heather wore a wonderful prom style dress. She was simply stunning in her white laces dress with pink details. Fine shoes and a pink themed bouquet completed the style. 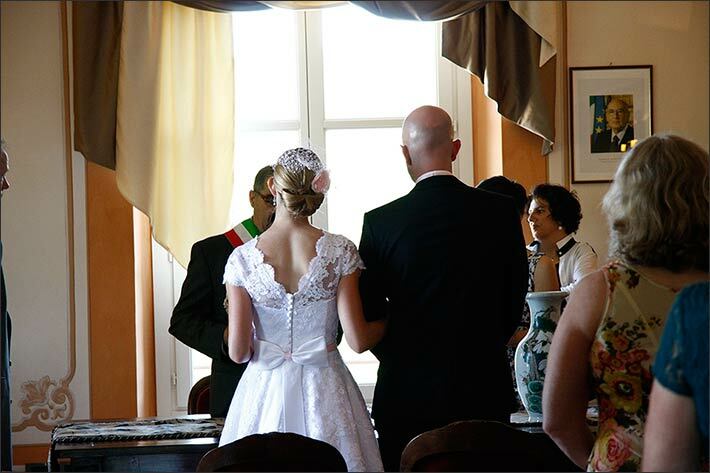 A wonderful elegant and simple bride in Barolo! Philip was handsome too in his suit with pink bow tie. After the ceremony Heather Philip and their guests reached the top of the Castle for stunning photos overlooking a wide panorama made of vine yards, hills and Alps as backdrop. Some more picture on foot of the castle and then… a little surprise for all! 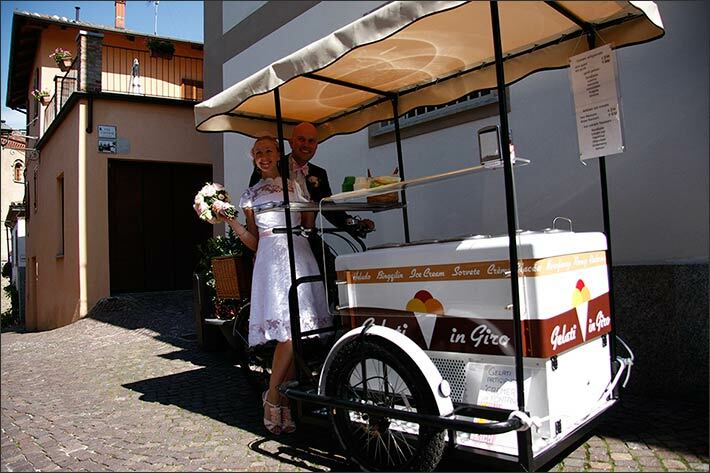 We planned to surprise Heather with an original ice cream cart waiting for her on the roads of the village. Heather and Philip loved it! And what about the ice cream? Simply delicious a very good refreshment for all guests! The group reached a winery in Barolo for a toast and wedding cake cut. A wonderful traditional Italian wedding cake. Just as Heather wanted. All was very simple and rustic but really Italian! A wonderful local food and wine festival planned every July in La Morra. 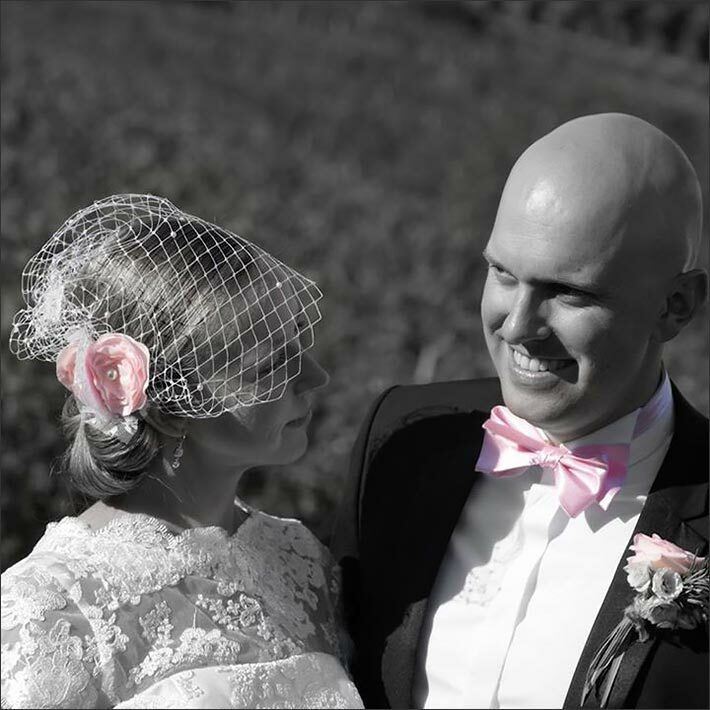 Heather and Philip and their guests joined local people of the area to celebrate with them their special day. Isn’t it a great fun idea? 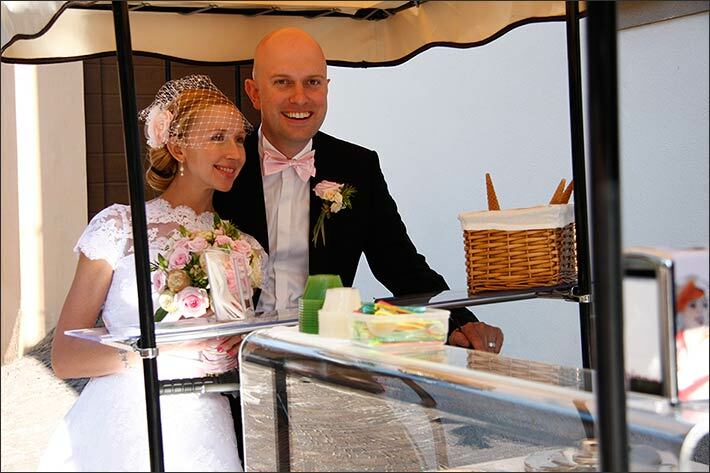 Everybody loved it and you can imagine how other people of the festival welcome newlywed! We could not imagine nothing than more Italian than this! A wonderful day in Langhe tasting not only local wines but the real savour of Piemonte and Italy!